Since our founding in 1994, Woodways is proud to offer truly custom cabinetry, all designed and manufactured in Michigan. We provide limitless possibilities on custom cabinetry for clients with capabilities across the United States. By working closely with our skilled team of engineers and designers, we create one-of-a-kind designs based on our clients’ vision. Whether you are a homeowner, builder, designer, or architect, we offer unparalleled flexibility and precision in our superb craftsmanship and innovative designs. In 2018, we merged with the Zordan Group, an Italian company specializing in high-end projects for luxury brands, such as Fendi and Ferragamo, and recognized for their incredible craftsmanship. We are now able to present our clients with a blend of local and European influences, contemporary designs, and modern fabrication techniques. At Woodways, we’re locally rooted and European inspired. To learn more about how we can help you accomplish your design goals, visit our website (www.woodwayscustom.com) or stop by our Design Lab and Showroom located in Grand Rapids. Over 20 years professional design experience, Registered State of Michigan Interior Designer. Nationally published. Burkey Sales & Service, Inc. is a full service glass shop from auto glass to just about any flat glass, Shower enclosures, commercial applications and house window replacement. We strive to keep the good reputation that Paul and Floyd had built back in 1946. Hinges and Handles is here to help you restore your old hardware that may be broken or lost. We have a diverse selection to choose from- Door Hardware, Plaques, Bath Hardware, Kitchen Hardware, Architectural Hardware, Registers and Grills, Door Knockers and Mailboxes, Furniture and Cabinet Hardware, and many other collections! We guarantee you won't be let down! Windborne Studios produces exclusive designs and one of a kind functional art that complements any room in your dwelling or business. Our unique artistic expression is evident in each individually handmade piece. From expressive to classic, Windborne Studios will add a stylish flair that is sure to excite the eye. Vos Glass, Inc. is a professional, full-service Glass Company located in Grand Rapids, MI. Founded by Clarence “Jake” and Barb Vos with partners John Merryweather and Nelson Veltman in 1982. Vos Glass, Inc. has been a leader in the West Michigan glass business for over 32 years. Vos Glass announces a leadership and ownership transition that will advance the company’s reputation as a leading specialty contractor in West Michigan. David Turner will succeed Linda Vos-Graham as owner/president of the company where she has worked for 33 years and served as president since 2001. Turner is recognized in the West Michigan construction community for his leadership at Kent Companies for 25 years, where he retired as president. Turner has served on several boards and industry trade associations including the Associated Builders and Contractors, Inc. of Western Michigan. Led by President Linda J. Vos-Graham since 2002, Vos Glass, Inc.’s commercial projects have been honored with awards of excellence for years. These include some of the most prominent projects in the area, including Helen DeVos Children’s Hospital, Grand Rapids Civic Theatre, the Grand Rapids Convention Center, the Van Andel Institute, Lacks Cancer Center, the Downtown Market and Gordon Food Service's headquarters. In addition to being one of the most respected companies for commercial glazing, Vos Glass, Inc. leads the residential glass market with state-of-the-art equipment and the area’s most qualified glaziers. Their one-of-a-kind, one-stop, newly renovated and updated Resource Center (2015) offers architects, designers, engineers, contractors, builders, building owners and homeowners the opportunity to see and touch virtually every option in architectural and decorative glass, along with related metals and plastics. Vos Glass, Inc. brings their unparalleled reputation for service to every project, offering customers the best solutions through creativity, energy and dedication. Building on this foundation, they continue to innovate and explore, thinking out of the box and growing strategically to stay at the forefront of our industry. Keeler is a premier manufacturer of cabinet & architectural door hardware, light integrated trim & furniture. Hickory Hardware® is a premier brand marketed by Belwith® Products, LLC. The roots of the company run deep, beginning with the birth of a small foundry in Michigan in 1893. From the humble beginnings of the Keeler Brass Company®, international corporate ownership and multiple mergers, we now emerge as Belwith® Products, LLC, a privately owned and operated firm. Hundreds of years of staff experience, a living library of designs (dating back to 1900), and a passion to develop unique, creative hardware positions solutions Belwith Products as the industry leader in kitchen cabinet, architectural, and furniture hardware. Adding dramatic accent and subtle nuance to kitchen cabinetry, our commitment to Old World craftsmanship shows in every piece of decorative hardware we design and market. We are fluent in the traditional methods of pencil sketching, hand modeling and finishing. The most modern computer manufacturing tools only compliment and enhance our design process. Our commitment to provide consumers with a variety of up-to-date styles and finishes is proven through our extensive assortment of products, unique and convenient packaging, as well as displays and planograms which are always evolving to match current trends. Every step in product development is crucial and we take each step to the next level to ensure we provide the best and freshest products. The Hickory Hardware brand reflects our vision to offer the very best products and service to customers today, while providing continuous improvement in our product offerings and service for tomorrow. HLE provides products and services regarding universal and accessible home design. Keystone Accents is a high quality cabinet hardware manufacturer. We offer a large selection of cabinet knobs & pulls, at wholesale prices. MKD is a wholesale supplier of kitchen and bath products throughout Michigan and Northern Indiana selling primarily to kitchen dealers. Solera Sinks is a company that strives to achieve innovation and excellence in quality for all of their products. By offering an array of choices in design and material, they provide an ease in buying accompanied by excellent customer service and support. Only the highest quality of materials is used to manufacture their products, which are covered under a limited lifetime warranty. Solera is proud to offer many styles of stainless steel, porcelain, quartz, copper, glass, bronze and natural stone sinks as well as numerous marketing tools. 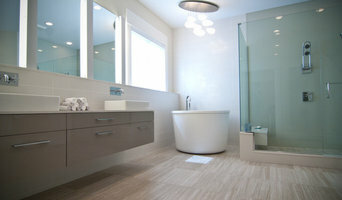 You can see more of us on Houzz at: solerasinks.houzz.com! Homelife helps people Create Spaces to Enhance their Lifestyles. Our focus is in the Kitchen, Bath and Outdoor Living areas of the home. 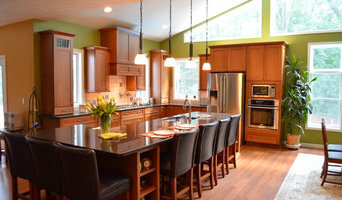 Use the Houzz Professionals listings to find Kalamazoo, MI kitchen and bath accessory vendors. Don’t rule out asking a kitchen manufacturer’s design team for help, too. Skills often can be overlapped to save you time and money! Here are some related professionals and vendors to complement the work of kitchen & bath fixtures: Kitchen & Bath Designers, Kitchen & Bath Remodelers, Interior Designers & Decorators, Cabinets & Cabinetry. Find kitchen and bath fixtures and accessories, plus installation experts, on Houzz. Check out Michigan kitchen products and installers, and bath plumbing products and installers, on Houzz. 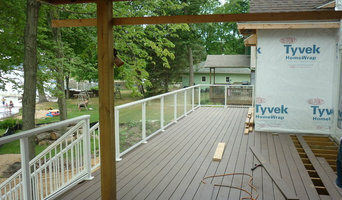 You can also look through project photos provided by Kalamazoo, MI renovators, retailers and designers.